Hi stampers! 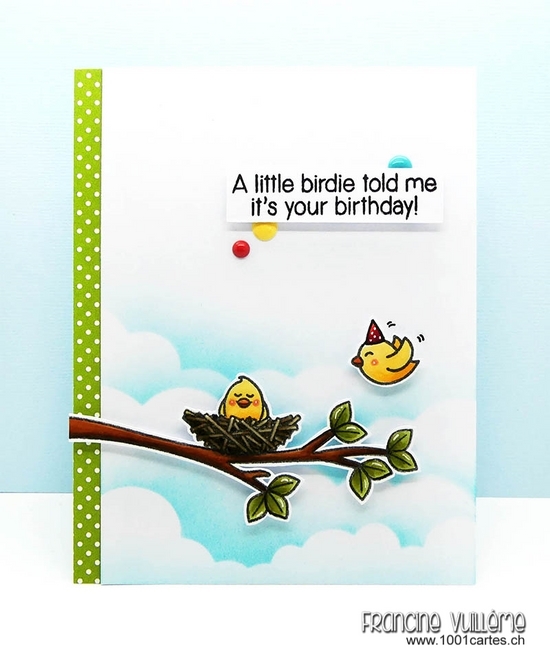 So glad to join Sunny Studio Stamps as a guest this month and I’m thrilled to play with the newest summer collection! The sets are awesome! I chose to feature the Two Scoops set. This is a layering stamp set and there are no images to color. The style of both cards is different. This one is more modern. As I did for the first card, I blended the bottom of the card front with Distress ink. This time, I didn’t use a stencil but I splattered some water over the sponged background to add more interest. I also added a colorful strip on the left edge and I stamped the sentiment on a white label (here a speech bubble) that I adhered to the card with foam pads for more dimension. I also used enamel dots (they have a droplet shape here). On both cards, I moved the focal image off-center and trimmed any excess that extended over the sides of the cards. As you can see, with the same elements and a similar layout, you can create completely different creations! I hope you like the idea. By the way, that layering stamp set is AWESOME and look so realistic! I love it! The stickles on top of the soft ice cream adds so much sparkle and interest! 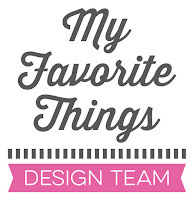 For more inspiration, don’t forget to visit the Sunny Studio Stampsblog. Thanks for visiting my blog today and have a great weekend! Thank you much for being a guest today Francine. Your projects are fabulous as always. Big hugs! You certainly rose to the challenge, Francine! Your little birds are darling and I love the outdoor scene! 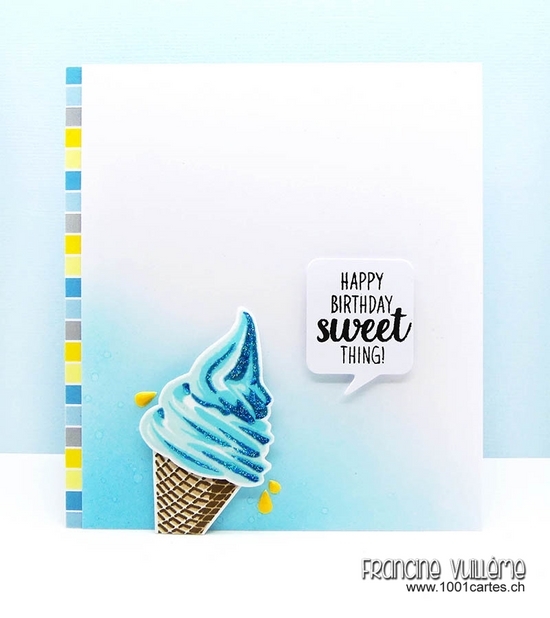 LOVE your beautiful ice cream cone, too...your sponged background is flawless as always, and I love how you added the droplet shaped enamel dots...so clever!